Buyers would need to sacrifice some standard features to get the hybrid crossover for such a low price. Update: Lexus has now announced pricing for the three-row, all-wheel-drive RX 450hL hybrid. The SUV will start at the $51,615 after the $995 destination fee. The Luxury Package will add semi-aniline leather upholstery, LED ambient interior interior, manual sunshades in the rear doors, Gray Sapele wood trim, 20-inch wheels, and a heated steering wheel. These models will go for $55,550 after destination. Deliveries of the RX 450hL will start in April 2018. If you don't want the hybrid, the three-row RX 350L will go for $48,665 with front-wheel drive or $50,065. With the Luxury Package, prices rise to $53,680 for the front-drive model or $55,080 for an all-wheel-drive variant. The 2018 Lexus RX 450h will be less expensive than the existing hybrid version of the firm's bestselling crossover. The exact amount buyers will save will depend on how much they value the model's current array of standard features, though. 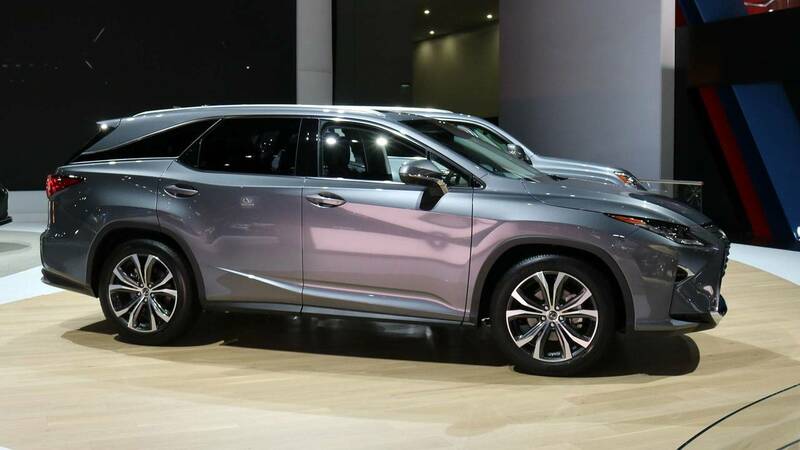 Lexus RX 350L, RX 450hL Bring Three-Row Seating To L.A.
Technically, the 2018 RX 450h will start at $46,690, including destination, which will be $7,340 less expensive than last year, according to CarsDirect after confirming the figure with Lexus. This will also make the premium for the hybrid only $1,025 more than a RX 350 with all-wheel drive. However, Lexus will strip away a lot of currently standard features to make this lower price possible, including the leather upholstery, heated and ventilated seats, moonroof, navigation system, and blind spot monitoring. To get all of these amenities back, a buyer would need to pick out $6,285 in options, according to CarsDirect. The good news is that this figure still means that the 2018 RX 450h is $1,055 less than before, even with the same options. The RX 450h uses a 3.5-liter V6 and two electric motors to produce a total of 308 horsepower (230 kW). It lets the premium crossover achieve 30 miles per gallon city, 28 mpg highway, and 30 mpg combined. Shuffling RX pricing might have a connection with the new, three-row variant of the premium crossover coming in 2018. The RX 350L and 450hL (above) will be 4.3 inches longer than the existing models and will have room for six or seven people inside depending on configuration. 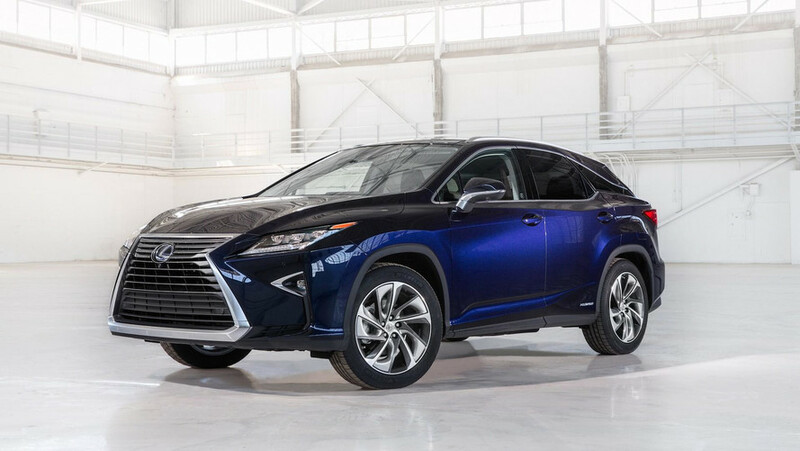 The RX 350L will start at $47,670 for the front-wheel drive model and $49,070 for the all-wheel-drive variant. Lexus doesn't yet disclose the cost of the 450hL but a similar premium as the two-row would point to it going for around $50,095.